It is urgent to Guingamp, last in Ligue 1 and receives Reims on behalf of the 22nd day of Ligue 1. Lantern red championship, Guingamp can not leave this place and shows week after week the difficulties he is trying to get good results. After having achieved a prestigious success against PSG in the Coupe de la Ligue, he had chained by a defeat and a victory in Ligue 1 but last weekend, the whole team collapsed in the second match against Paris in 10 days. Spanked 9-0, he did not exist and attended helplessly at the Paris demonstration for 90 minutes. A slap that keeps him in last place in Ligue 1 with only 14 points. It will be necessary to show character and will to get the 3 points against Reims. A team from Reims who may also be blunt after his crazy game against Toulouse in the Coupe de France. The player of a twisting match, he went to the penalty shootout and was finally eliminated by his opponent. A big disappointment that will have to be overcome by starting again in the league. In the soft belly of the classification, in 11th place, he can aim the first part of the table to not live an end of season without goal. Guingamp is good last in Ligue 1 with only 14 points. The Guingampais stay on a spank 9-0 against Paris. They have the worst defense in Ligue 1 with 45 goals conceded. Reims has the 5th best defense of Ligue 1. In the first leg, Reims won 2-1. It is with fear on the stomach and taped to the last place in Ligue 1 that the Guingampais welcome Reims. 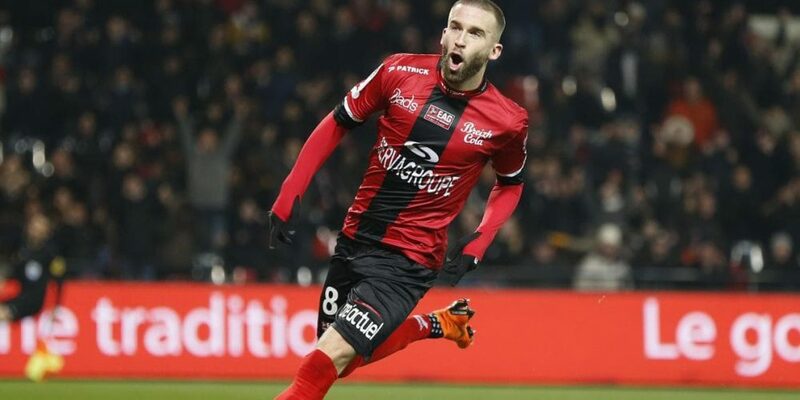 Guingamp has no choice and must win to try to hang on to a slim holding spur. In case of defeat, the weeks that follow would be very complicated for him. Opposite, Reims vegetates in the middle of classification and will want to revive after his crazy game lost in Cup against Toulouse. Even if the two teams are not very far in terms of form, Reims part with our favors but a draw can not be ruled out.